The patch that we had scheduled for 3/1 was delayed and server maintenance was conducted instead. February was a hectic month, and there were a lot of different aspects that we wanted to work on. We delayed patches so we could address bugs and other issues for the upcoming content. We have a lot of ideas planned for Dark and Light, some of which were mentioned in last week's issue of the Archos Herald. 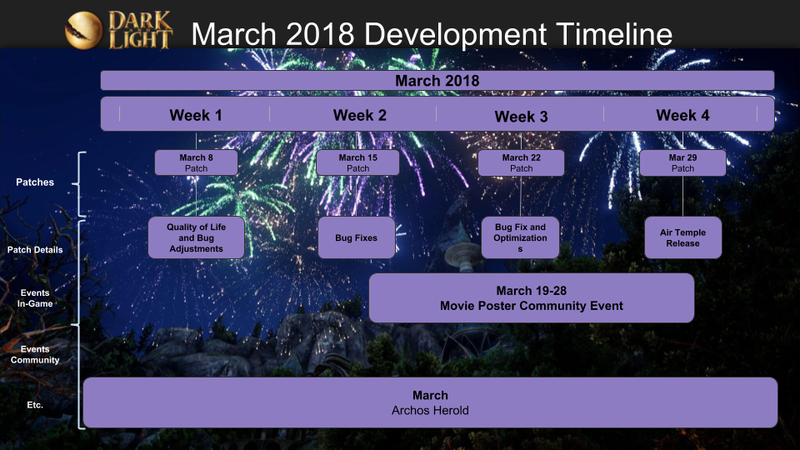 Here we have the latest Monthly Development Timeline for the month of March. 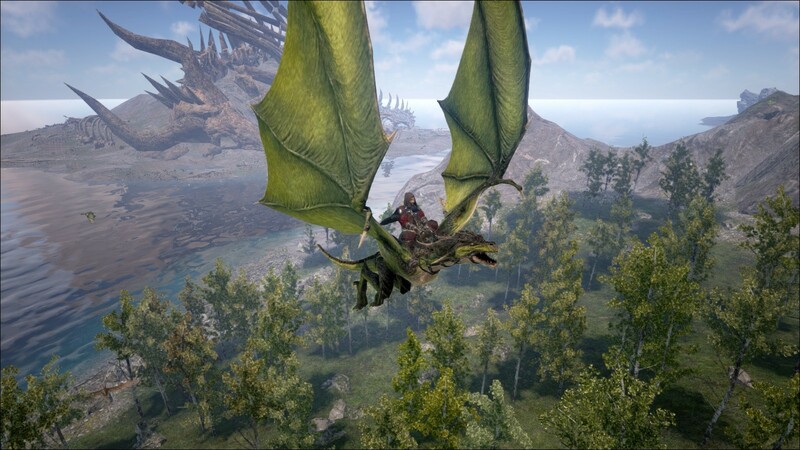 As you can see, the new PvE experience has been pushed to the end of this month. The three patches beforehand are to address bugs that are still in the game, and to optimize content already in the game. 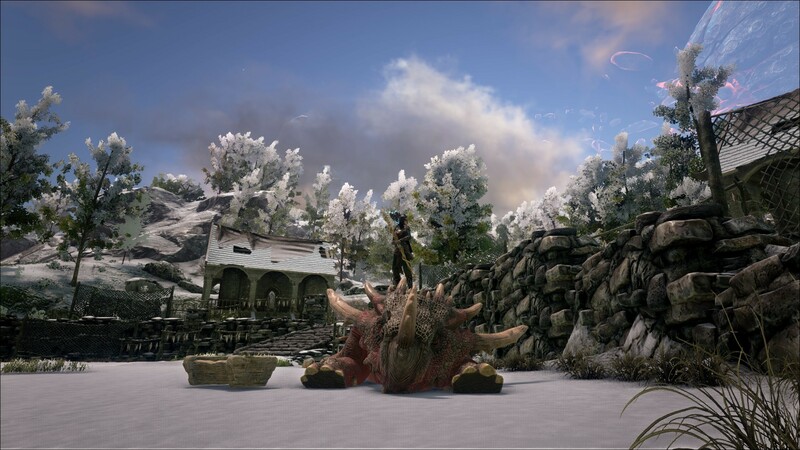 We have a new community event planned for the week before and leading up to the patch on 3/29, and we’ll have more information on that event in the near future. Burcu enjoys some time with his sleeping Longhorn. Rest easy! 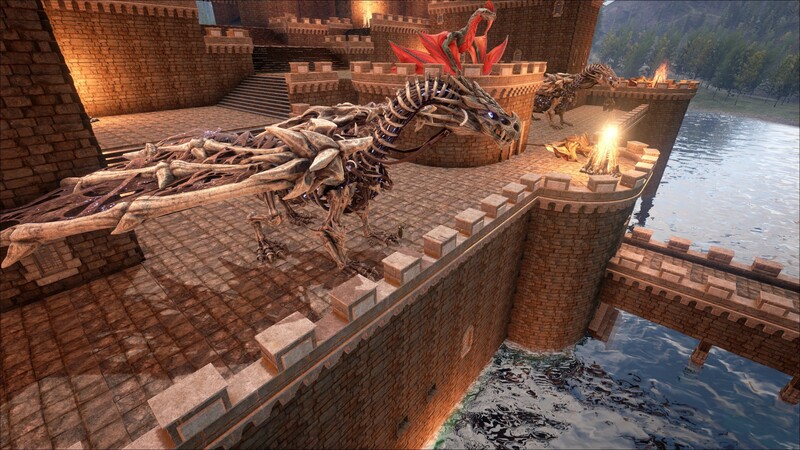 Anyone attempting to storm yskonijn’s castle will be met with tooth, claw, and bone. Godhand and his Windrider quietly await the sunrise in a desolate landscape. 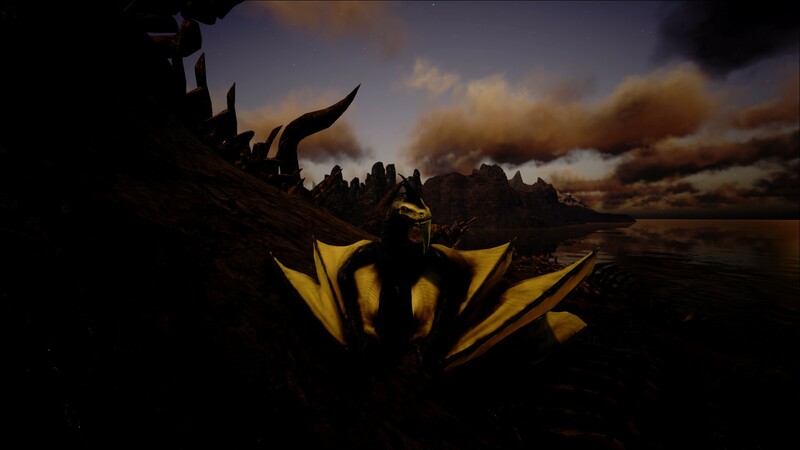 Ryuk soars on the back of his Wyvern, eager for new adventures. Thanks for joining us in our 28th issue of The Archos Herald! To stay up-to-date on everything Dark and Light, be sure to like us on Facebook, follow us on Twitter, and join the discussion on our Official Forums[dnlbbs.snail.com] page or our subreddit, /r/DarkandLight.